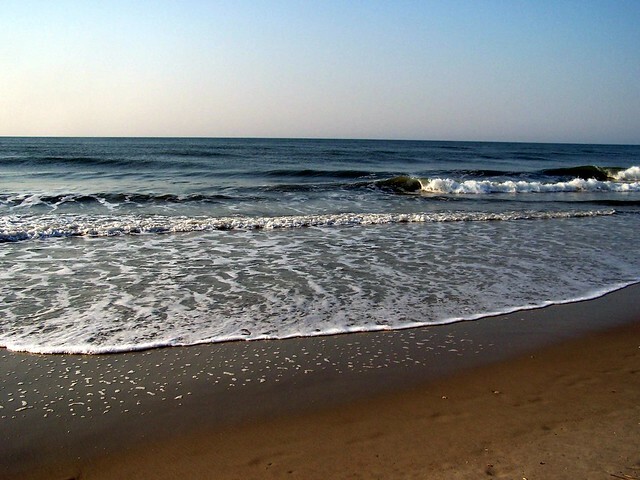 This beach is Myrtle Beach, South Carolina, where my mom lives. I grew up in New York, in Queens, and often we would go out to Jones Beach to spend the day. Later, as a young adult without a car, I would take the Long Island Rail Road, and then a bus to Jones Beach, all by myself, and spend the day dozing in the sun. Living as I do now in St. Louis, I miss the sound of the shore and the smell of the salt air. There’s nothing quite like it in the world. Standing in the surf, I remember curling my toes into the sand, and feeling it pull out from under me with outgoing tide. Time is something like that, getting pulled away from you.